Scientists for years have urged the federal government to ban the synthetic chemical Bisphenol A from food packaging, citing extensive evidence that it easily leaches into the food it is supposed to protect and then mimics the hormone estrogen when ingested, which can disrupt the endocrine system in a variety of ways. With the feds continuing to say BPA is safe, the charge to get the chemical out of plastics has been primarily led by advocacy groups and voluntary measures taken by corporations. But researchers continue to find more evidence that BPA-free isn’t a good enough promise. “Industry is working to replace BPA because of health concerns – but all these alternatives are also estrogenic,” Michael Antoniou, a researcher at the Gene Expression and Therapy Group at King’s College London, told the site Environmental Health News. Antoniou is the lead author of a new study investigating the effects that six chemicals commonly used in hard plastics to replace BPA have on human breast cancer cells in a lab. All of the chemicals “showed estrogenic activity in promoting [cancer] cell growth” the study says. Three of the alternatives appeared to be even more potent at promoting breast cancer cell growth than BPA is. This study has only been published online and has not yet been peer-reviewed. But it is part of a growing body of research investigating problems with commonly-used BPA alternatives. 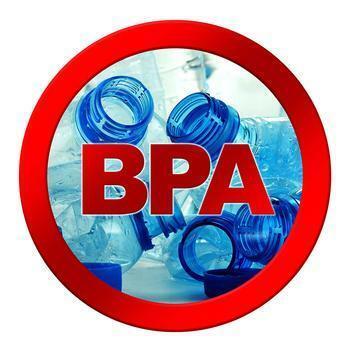 The chemical Bisphenol-S, for instance, often found to be a replacement in BPA-free packaging, has been shown in past research to have similar effects on the embryos of zebrafish that BPA has, namely negative impacts on the thyroid system. BPS has also been linked to heart arrhythmia, hyperactivity and cell death. For now, experts say that the best way to avoid endocrine disrupting chemicals is to stop eating canned food, as cans are commonly lined with a plastic containing BPA or BPS to protect the food from the corrosive effects of the metal. Environmental Working Group suggests avoiding polycarbonate plastic, or the hard, shatter-proof plastic sometimes used in dishes and other foodware. Scientists say that parents-to-be or parents of young children should be especially cautious, since BPA is more potent in fetuses and young children, and sippy cups are often made from hard plastic. While companies have voluntarily phased BPA out of sippy cups and other food packaging for babies, tests by the nonprofit the Center for Environmental Health have found that chemicals used in plastic sippy cups still show estrogenic activity.